I'm so excited about this new novella from Sasha Hibbs! It's on my Kindle, and my review is coming soon. The first two books in the series are great. 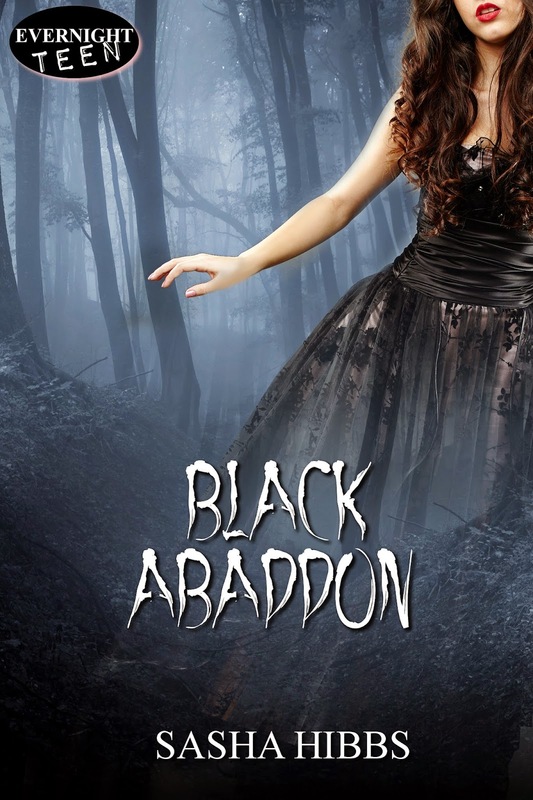 If you haven't read Black Amaranth & Black Abaddon, I highly recommend them. The burden of Dave’s girlfriend’s death pushes Brandi, the Seraph of Love, to abduct David Howels hoping she can protect Dave from his murderous father, Ragnar, and also atone for all her sins. Leaving a trail of broken hearts, will Brandi be able to show Dave that all in life is not lost in death? Twists and turns abound as Brandi discovers her own shocking revelation: That Dave has been her soul mate all along. Separating Dave and herself from their allies on the threshold of the apocalypse, Brandi turns to an old friend for help-a witch-to aid her in her quest to prepare Dave to face his worst fears and her own. Filled with curses, secrets that threaten to destroy everything, Brandi must find forgiveness from within before she can find love with a boy she’s forced to hate her. In the past, healing a broken heart would’ve been easy, but now faced with the task of healing Dave’s broken heart while not exposing her own, Brandi learns why love is truly the greatest gift of all. “There is only one way to break the bonds that hold you, and it cannot be undone,” Brandi said. Brandi stretched her hand out, spreading her palm against the invisible force that separated them. Dave looked at her for what felt like an eternity and then he placed his open palm over hers. “Do you love me?” Brandi asked, not cloaking the sadness in her voice. Dave looked at her, opened his mouth and then closed it, saying nothing. Brandi gave a sad laugh, the sound that signaled her recognition of her love going unreciprocated. After Lucy died, in that horrifying moment, Brandi knew Dave was her soul mate. Over their time together, running and staying in motel after motel, at the Rathbone mansion, the dance they shared together, the tender kiss they shared together, Brandi knew she loved Dave. Brandi knew in her shattered heart, Dave was the only one who would ever reside there. She had braced herself for Dave not loving her back. She had made peace with that cold hard fact a while ago. But hearing his silence only sealed her decision to leave him and take comfort in knowing that what she was doing to him now was for the best. Brandi lowered her hand, her fingers trailing slowly down the invisible wall. This was goodbye. Brandi turned quickly, walking away toward the gate. “Don’t do this, Brandi! I’ve not had the chance! You know this isn’t fair,” Dave screamed after her, but Brandi wasn’t listening. She reached the gate. Placing the key in the lock, she heard the gate groan, the ground below rumbling, Dave’s screams diminishing. She thought of Dave, touching her lips where his had been, and plunged herself into her worst nightmare. Sasha lives in mountainous West Virginia with her husband, Tim, and their two daughters, Aeliza and Ava. She is currently hard at work on her next novel in The Vulcan Legacies series.